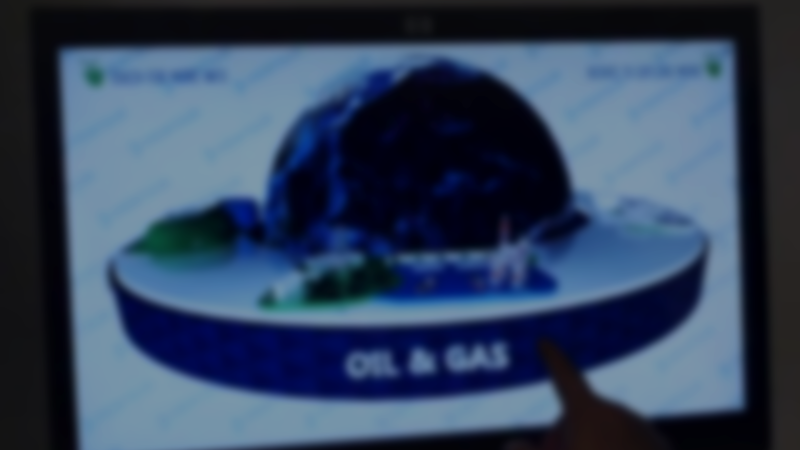 A relatively new technology yet to be thoroughly explored, touchscreen interfaces actually have a very diverse background and an interesting future. Starting with the original functioning touchscreen from the University of Illinois, to the mind boggling and infinitely diverse Surface, the hardware and software that has powered this recently found phenomenon has come a long way. Though the touchscreen was originally developed by E. A. Johnson and the Royal Radar Establishment, it found its first widespread use in the University of Illinois (Buxton). The PLATO IV Touchscreen was the first well used touchscreen when the students and faculty gave the prototypes to schools around the state (Buxton). This system, released on 1973, was not used very widely however due to it’s rather limited capabilities. 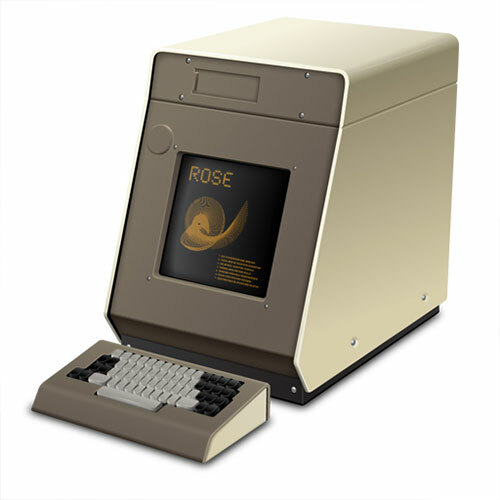 Running on MSDOS with only limited touchscreen specific functionality, the PLATO IV was only used on a limited basis for student functions and exams. Though it was not the fanciest creation ever invented, it started what has been a wonderful growth of better technology. Just before the great gaming crash of 1983 in America, a smaller development company, Western Technologies/Smith Engineering created the first vector based gaming console by the name of Vectrex (Vectrex Museum). Though, upon its release, the Vectrex was nothing to be impressed by, and was one of the cheap consoles that lead to the massive decline in console sales in the following year, the Vectrex went on to include the first touchscreen interface in a gaming console (Vectrex Museum). Though fairly rudimentary, via what the company labeled a “Light Pen”, users were able to draw and interact with objects on screen without the use of a mouse or controller. 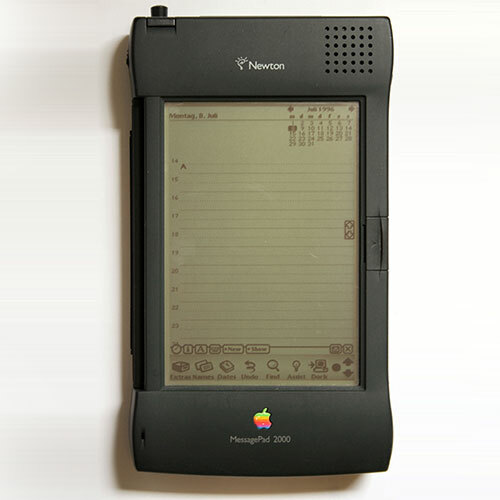 A very early predecessor to what would become the iPhone, the Apple Newton was the first handheld touchscreen device. The device was a wonder for the time sporting a 336 by 240 pixel display (the nNew iPad has a 2048 by 1536 display) and 4mb of storage space (New iPad: 16-64GB)(Every Mac). Though this handheld device was rather small and none too technically impressive, what made it the most interesting was its devote user base. A truly open system, user made games ranging from the classic Snake to digital version of Risk (Milne). As the Newton had no external keyboard or buttons, all functionality had to use the touchscreen. In 2002, Microsoft took their popular line of laptops, removed the keyboard adding a touchscreen layer instead, and created the first tablet computer (PixMag). This allowed users to interact with their computers without the need for awkward tools such as the keyboard or mouse.  Running the current Windows OS, Windows XP, the devices were none too fast and often difficult to use, despite their slightly more intuitive control schema (PixMag). Though it was only an integration of existing technology, the tablet changed how people interact with computers. 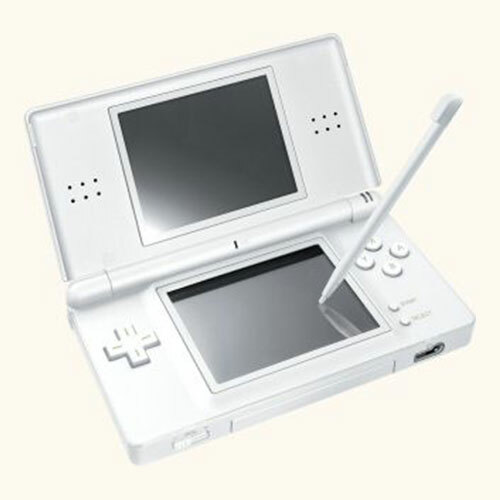 Released in 2004, the Nintendo DS was Nintendo’s first foray into touchscreen gaming (PixMag). With two 256 by 190 screens, only one of them touch enabled, players can use both the console’s control pad, or by touching the bottom screen, the device’s touch capabilities. Though the DS may not have been the first touchscreen gaming console, it was the first to reach a worldwide market, selling over 140 million units since its release (PixMag). With the wide reception of the iPod in the US and around the world, Apple devised a new device that could be used for more than simply playing music. In 2007, they released the iPhone, and to put it bluntly, started a craze in the technological industry (GUI FX). By implementing features that seem standard now, but were most certainly not for the time, the iPhone changed the way America thought about the cell phones they carried with them. Though the USA had been lagging behind in mobile technology in comparison to their Asian brethren, Apple gave people a reason to see this technology in a new light, providing such stellar support to their developers and customers that, in the first nine months, over a billion apps were downloaded (GUI FX). In 2010, Apple then announced and released the iPad. Similar to the iPhone in design and mechanics, the iPad only sported one stunning feature the iPhone didn’t have, a much, much larger screen. Though the Microsoft tablet had been out for over 7 years by this point, its lack in sales showed that the common consumer wasn’t all that interested. The iPad broke this design, encouraging all to try it out and see what they thought and in the end, Apple successfully made 14.8 million sales in the first year (Paczkowski). 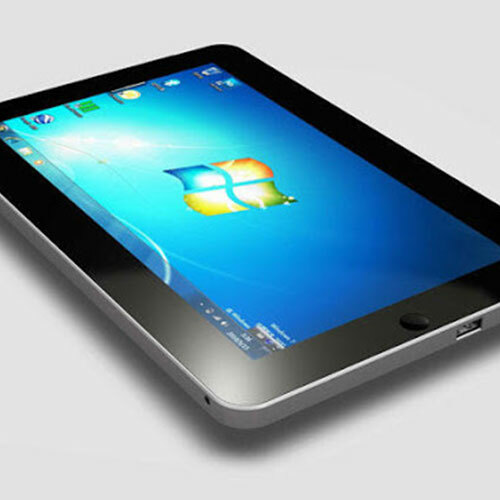 With the newly enlarged screen, developers were able to port the experiments that they had been doing for the Windows tablet over to this new medium; a medium that promised sales. As such, in the 7th year of the tablet’s life, true touchscreen applications began to make a showing. released 2007 and 2010 respectively. Just after Apple released the iPhone, a device that added so many new features that not many saw the touchscreen going any further than it had, Microsoft announced their newest project, Surface. Where former touchscreens had only a few touch points to control features on the screen, the Surface incorporates over 52 points on a 1920 by 1080 screen (GestureWorks). Where former touch screens could only be used by one person at a time, the Microsoft Surface can support up to 10 people at once. 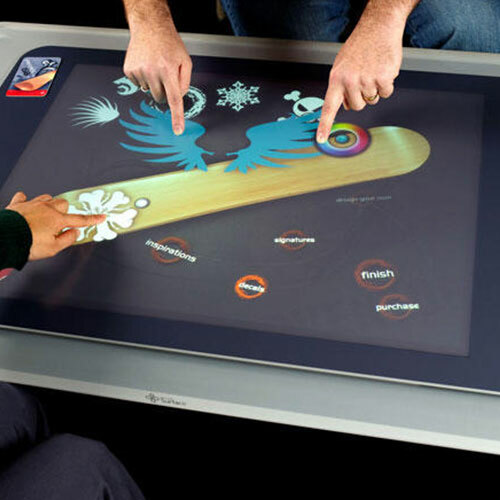 This technology is beginning to, and will change, the way touch surfaces are used. Microsoft would go on to drop their former Surface table lines in favor of a more handheld experience. This is directly attributed to Microsoft’s high asking price for the Surface table and a lack of interest in a more advanced touch surface than what was available at the time. Buxton, B. (2011, February 14). Some milestones in computer input devices: an informal timeline. Retrieved from https://www.billbuxton.com/inputTimeline.html. Cruz, F. D. (2001, January). The hp-150. Retrieved fromhttps://www.columbia.edu/cu/computinghistory/hp150.html. EveryMac. (2012, April 16). Newton messagepad (original) specs. Retrieved fromhttps://www.everymac.com/systems/apple/messagepad/stats/newton_mp_omp.html. GestureWorks. (2011, October 19). Microsoft surface 2.0. Retrieved fromhttps://gestureworks.com/features/supported-hardware/microsoft-surface-2-0/.  GUI FX. (2010, January 27). Touchscreens that changed the world.  Retrieved fromhttps://blog.guifx.com/2010/01/27/touchscreens-that-changed-the-world/. Milne, R. (n.d.). My pc programs for the newton. Retrieved fromhttps://roger.trideja.com/newton/newton.html. Paczkowski, J. (2011, January 20). With ipad sales, steve schools the street again. 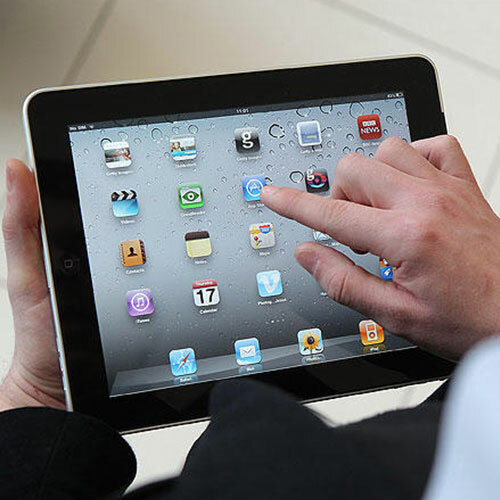 Retrieved fromhttps://allthingsd.com/20110120/with-ipad-sales-steve-schools-the-street-again/. PixMag. (2011, February 28). The evolution of touchscreen gaming. Retrieved fromhttps://pixmag.blogspot.com/2011/02/evolution-of-touchscreen-gaming.html. Vectrex Museum. (n.d.). 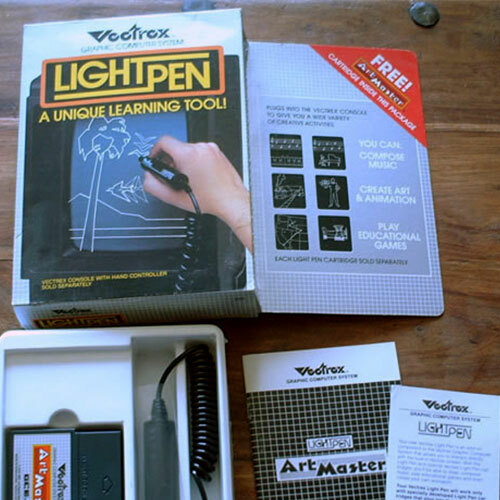 Vectrex lightpen. Retrieved from https://vectrexmuseum.com/vectexlightpen.php.